Q: What is your position on turtleneck sweaters? Although we were concerned a few weeks ago when, in an interview with George Stephanopoulos, it seemed like Michael Cohen could set back the cause of turtleneck sweaters 3-5 years. It was the biggest threat to the clothing article since 2012 when Michael Lohan tried it in-between tanks and mocks. But the Michaels are no match for McQueen, Jagger, Bowie, Archer. As with scarves, don't have anything in contact with your neck that isn't cashmere (or cashmere/silk). Only a compression tee is less forgiving than a finely-woven turtleneck sweater. Unless you're built like Archer, pair with a blazer. Rather than fold the collar like these guys, simply rely on gravity to let it settle naturally and unevenly around your neck (Principle of Artful Dishevelment). Where should you look for good options? Where else but YOOX? ** This, or this, or this are all great values. Their winter sale ended last night, but it will be just days until another one. Use our Twitter-based price-tracking tool (still in alpha) to be notified of price changes. * That sales reduction number is made up for the purposes of a joke, but we are expecting Cohen's $4,000 model to hit the clearance rack at Neiman's. ** We have no relationship with YOOX. About this time a year ago, "luxury athlesiure" company Kit and Ace closed all its US stores to focus on online retail. But let's face it — bricks and mortar, online, it doesn't matter. In Donald Trump's America, where employment is at record highs, and coal-miners and factory workers alike are working overtime so they can buy more Berkshire Hathaway shares, no one has time "luxury athleisure." There are capital gains to be had! So now K&A stuff is showing up on Century 21 at 85% off. It's perhaps the most comfortable polo we've ever worn. Fits true to size. The Cashmere Watchcap via Golightly Cashmere. $155.00. Q: Hunting season is almost here in Maine. Is it appropriate to wear an orange hat when visiting town? A: Maine may be 1,500 miles from Minneapolis, but our firearm deer hunting seasons practically overlap, so we have often faced the same headwear dilemma. To help you decide we put together one of our popular Deciders: Orange Hat. 8 Denim Sneakers via YOOX. $56.00. Several years ago we claimed Italian brand 8's cashmere sweaters to be the best cashmere value in the world. It's still true. Now, at just $56, we can confidently claim these 8 low-tops are the best denim sneaker value in the world. Made in the same factory in the Marche region of Italy as MB favorite Hydrogen 1, they share the same minimalist style, high-quality construction, and comfort. Originally $183. Available in sizes 8-13. Fits true to size. Highly recommended. What Kanye Hath Wrought: Vince Leather Jogger Pants via Saks Fifth Avenue. $537.00. Q: Please weigh in heavily on the jogger pants trend that is sweeping shamefully across the country. If we ever find ourselves on the tennis courts at the Red Raider Community Fitness Facility in April or October, we like cotton sweatpants for the first 20 minutes or so. We also endorse cashmere sweatpants under the following conditions: Intercontinental plane travel; domestic train travel that spans at least three states; recovery from any surgery that pushes you over your out-of-pocket maximum for the year; and house arrest. Beyond that, we cast a wary eye toward sweatpants, loungewear, joggers, or whatever you want to call them. Now, granted, in the era when we initially developed this wariness, sweatpants came in two main varieties: Shiny silk or shapeless polar fleece. The new generation of sweatpants offers an alternative to such fare. They're cut more closely, they come in cotton, wool, and cashmere, and when designers aren't trying too hard to make them novel or sporty, there are an abundance of good options to choose from if you need a pair for any of the purposes we describe above. And this current abundance doesn't surprise us — we see it as the inevitable consequence of aging millennials seeking relief from the unforgiving skinny jeans of their higher-metabolism youth. And of course it's yet another manifestation of culture's primary shaping force over the last 40 years or so — business casual. But despite the significant advances in sweatpants manufacture, we don't find ourselves wanting to wear them more often. While $300 tailored sweatpants are certainly a step up from onesies, they still strike us as somewhat infantile when worn in nightclubs, restaurants, etc. And at work they cross the chasm from business casual to trying too hard (TTH). Indeed, if your need to gamify your Monday morning meeting is so strong that you leave your colleagues wondering if you're planning to dunk on them or just share your thoughts on the Q3 revenue forecasts, you are spending way too much time at the office and not enough time engaging in actual leisure. Put on a belt, knot up your tie, and pour yourself a drink. Work shouldn't be that strenuous. The Giants' World Series victory parade through downtown San Francisco was an alarming if not unpredictable display of brute toolbag power. Like a murderer's row of Jersey Shore extras, one player after the next swung for the fences and knocked good taste out of the park. Between the "Kiss This Ring" sweatshirts and costume-jewelry title belts, and softball-sized watch faces, we weren't sure if we were watching a victory parade or a runway show for a Flavor Flav garage sale. Even designated savior Madison Bumgarner did little to stem the rampant tide of toolbaggery. With his backward ballcap and orange garbage bag poncho, he looked like he was wearing a Darth Vader Halloween costume from The Nickel Store. Luckily, relief finally showed up in the unlikely form of little-used pitcher Tim Lincecum. Though the one-time superstar only saw 1 ⅔ innings of action in the series, during a Game 2 loss to the Royals, his victory parade mechanics were in top form. No team colors? Check. No trash-talking commemorative sweatshirts or visible logos of any kind? Check. Well-tailored shacket paired with an artfully disheveled scarf and what looks to be a cashmere beanie? Check. Put this guy back in the starting rotation, skip! He's ready to play. Hi MB. I am into soft knit winter/fall hats, and really like this one from J. Varvatos. It's soft cashmere and looks pretty good without being douchy. Any ideas that don't cost flipping $168? It's a hat! 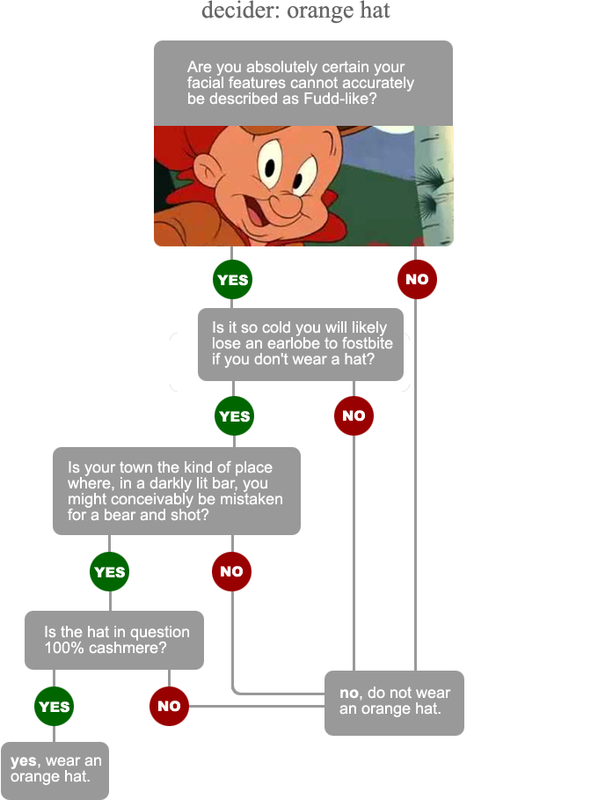 A: We have a simple rule about winter hats. If it costs more than $100 it must be 100% cashmere. Maybe even 110%. Either that, or there should be one extremely cold beaver somewhere. 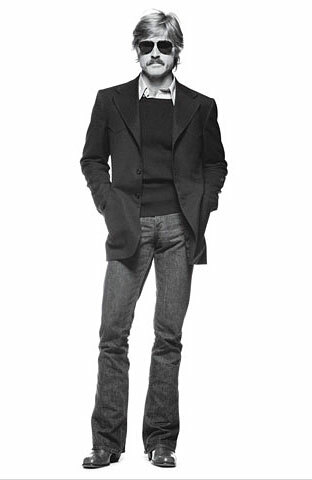 That Varvatos hat, while a fine-looking chapeau, is $168 and it's only 25% cashmere. Not even close! For similarly-styled, pure cashmere alternatives, check out the $75 Barney's Co-Op Basic Skully (top). When we strongly recommended it last year it was ten bucks less but it's still worth it. Same goes for the Portolano cashmere hats at Bluefly that are just $36. Not that we're saying you should pinch your pennies when it comes to your head. After all, you'd surely spend $168, and probably even much more, on a pair of shoes you really like — and what are your feet but the day laborers of your body? Your head, meanwhile, is the CEO. So don't skimp! To that end, we like this cabled Bottega Veneta cashmere cap (bottom). Sure, it's $260, but like all CEOs, doesn't your head deserve a nice Christmas bonus? It's really unfortunate Barney's CO-OP has labeled this $65 cashmere hat a "basic skully" because "skully" gives off negative vibes associated with TTH urban hipsters and age-inappropriately styled NFL quarterbacks. This is simply an excellent "winter hat," in cashmere, that strongly lends itself to artful dishevelment and fits nothing like a skully. Speaking of the NFL, in handicapping lingo this is our F/W 2010 accessory lead pipe lock. Forget cashmere hats. Qiviut is the wool of the muskox. It is ridiculously expensive and ridiculously warm. The material is thin and lightweight, yet warm enough to let muskox survive brutal winters in Siberia and northern Alaska. It's also more rare than cashmere. As an added bonus, the value of qiviut-made clothes goes up as they age because the material absorbs oils and becomes softer. We welcome the tip from the Siberian Qiviut Producers Association, and weren't even aware this beast existed, since it looks like something that went extinct 10,000 years ago. If you demand that your qiviut accessories be made in the USA, David Morgan sells a qiviut hat that's hand-knit by the Eskimo women of the Oomingmak Musk Ox Producers' Co-operative in Alaska for $170. Q: I need a winter hat. The Chicago winter is fast approaching and I have been scouring both brick and mortar and the internet for a hat that works for me. It's difficult because flat caps seem to be way too ubiquitous. Also, every fedora type hat I have ever tried on makes me feel like a total toolbag. That leaves very few styles short of just your standard knit cap, which I sometimes wear. However, I long for something a little more unique. I have looked into the Stormy Kromer hat you mentioned last year, but I feel the baseball bill really isn't my thing. Any help you could give in steering me towards a new hat would be greatly appreciated. A: Besides being ubiquitous (in spite of Cuba Gooding Jr. signaling them as outgoing a while back), a flat cap vs. Chicago winter is the equivalent of scissors vs. rock. Same with a fedora. In the winter months we advocate cashmere from head to toe, and if you can't currently swing a drawer full of $250 Maurizio Amadei cashmere boxers and $64 Paul Smith cashmere socks, start with the head and work your way down. This this 5+1_Annapurna ($98) and this Malo ($79) and this Bottega Veneta ($220) are all knit caps, but they're far from ordinary. I wanted to update you on my efforts to knit the perfect scarf. You were kind enough to obtain the dimensions of the SOH Cashmere Scarf so that I could knit it for my dear son. I found the ideal cashmere yarn and have just finished the last stitch of scarf. My son will be celebrating his 25th birthday on Saturday and this will be a truly fitting gift to commemorate his quarter-century mark. A: That truly warms our hearts, Bonnie. Now, if you enter our MB Cocktail Contest and submit an entry that your son will be proud to order in any bar in America, you will truly be en route to winning Mom of the Year! SOH Cable Hand-Knit Scarf via Pamela Robbins. $380.00. At least once in a man's life, he should buy a scarf that costs more than the most expensive suit at Men's Warehouse. We recommend the new 70 cashmere/ 30 superfine merino wool cable hand-knit scarf from new designer Song Oh. It takes more than a week to knit each piece. A Men's Warehouse suit takes like 18 minutes to assemble, tops. This beauty is available exclusively at Pamela Robbins in Scarsdale, NY. And we also have a handy guide on how to achieve the "lofty wrap" look.